The McMullin Area GSA board met on Wednesday, February 6, 2019 at the Kerman Community Center in Kerman of all places. Before the board meeting the technical committee met. There was talk about the need for monitoring wells. 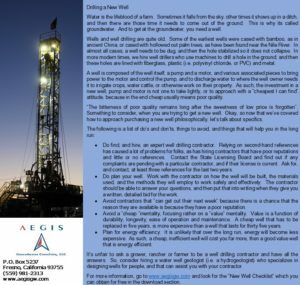 Of course to get an accurate data set and ensure a fair shake monitoring wells are needed. But what kind? Where? How many? Just one more part of the 5,000-piece jigsaw puzzle of Spinal Tap’s Sniff the Glove album cover known as SGMA. Chairman Don Cameron called the meeting about 2:15pm and there were no public comments, the minutes and financial report were approved. MAGSA has a new and permanent General Manager/Executive Director Matt Hurley. Hurley has a long career in San Joaquin Valley water. This is good but my Kings River Conservation District friends aren’t here to work with me shooting spitballs and such. Except for Rebecca Quist, she was soldering on. Good for them and congratulations to Hurley. The first item was a staff recommendation for MAGSA to join ACWA. This way the GSA is eligible for lower cost insurance. That sounded good to the board and they approved. 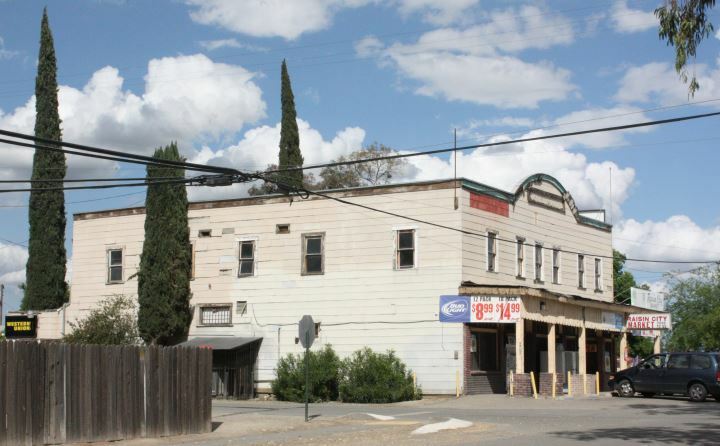 The board had two resolutions to pass: accepting the updated Kings Basin Integrated Regional Water Management Plan and a resolution ratifying Hurley’s contract. Both passed without dissent. Hurley said his report as GM will be brief as he hasn’t been with MAGSA for long. He said he’s opened an office in Kerman right across from the new Gar Tootelian Inc. office’s grand opening tomorrow. As you know I’m a GAR fan, so good for them too. Hurley said KRCD’s Randy Schilling is retiring in March. Wow, lots happening. Hurley said he’s trying to get up to speed and welcomed everyone to stop by. Hurley has a good deal of experience with SGMA including working with DWR on writing SGMA regulations as a technical advisor. How much you can blame on him wasn’t made clear. He urged everyone to please contact him with questions and suggestions. Director/Fresno County Supervisor Brian Pacheco reappointed Matt Abercrombie to the white area seat. Good for him. * That was about it for directors’ reports. Provost & Pritchard engineers Lynn Groundwater and Randy Hopkins gave a report on the GSP. P&P is the firm coordinating the GSPs for all seven of the Kings Sub Basin GSAs. There are eight tasks to develop seven GSP chapters. On average the water table is dropping about three feet per year, if I understood. There’s a buzz phrase, I guess that’s a string of buzz words; 10%, 20%, 30% and 40%. That is the rate of implementation of the GSP. For an example I’m making up, not MAGSA approved; if in order to meet SGMA requirements you have to reduce your pumping usage by 100 a/f – you’d have to start with 10 a/f, then 20 a/f and so on. As Hurley called it, the glide slope. No one lands an airplane by pointing the nose straight at the ground. Subsidence isn’t a very much of a problem. The Corcoran Clay layer pretty much fizzles out on the east side of MAGSA and there aren’t any deep wells below the clay layer. It was asked if anyone is keeping track of James ID’s pumping. Many, many years ago along the McMullen Grade Road there was so much groundwater the growers in the area asked JID to pump it as a favor. Well, many, many years later JID is still pumping. However, it was said JID has the best records of any GSA in the Sub Basin. The growers don’t have individual wells in JID – the district does all the pumping and meters deliveries. Quist gave the outreach update. Before the meeting Pacheco remarked how many folks are showing up he’s never seen here before. That’s true, there were more than 20 of us in the audience and just a few months ago there might have be half a dozen. Quist attributed the increased turnout to increased website visits following a press release and survey. There will be an ad hoc committee meeting tomorrow at the new MAGSA offices in Kerman to talk about how to improve outreach. Hurley said the board did good to retain KRCD’s staff for public outreach. Abercrombie reported on white area and thanked everyone for their help and willingness to engage in input. The next MAGSA meeting will be March 6th here in Kerman. Cameron said he was also grateful for the turnout at the meetings. He said this is one of the toughest GSAs in the Valley. The meeting then went into closed session. DISCLAIMER OF RESPONSIBILITY; Waterwrights.net strives to provide his clients with the most complete, up-to-date, and accurate information available. Nevertheless, Waterwrights.net does not serve as a guarantor of the accuracy or completeness of the information provided, and specifically disclaims any and all responsibility for information that is not accurate, up-to-date, or complete. 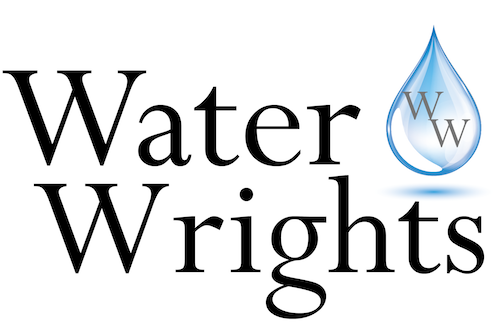 Waterwrights.net clients therefore rely on the accuracy, completeness and timeliness of information from Waterwrights.net DAW entirely at their own risk. The opinions expressed in this report are those of the author and do not represent any advertisers or third parties. * I know I’m typing good for xxxx a lot but good for me to have something positive to report on. McMullin Area GSA – The McMullin Area GSA member agencies are Fresno County, Raisin City Water District and the Mid Valley Water District. Located in Western Fresno County MMAGSA is one of seven GSAs in the Kings River Sub Basin.